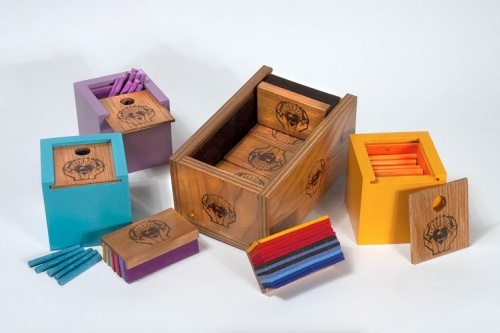 Chalkboxes designed for the Montessori Chalkboards hold 9 colors from the Montessori Grammar Symbols. Felt Erasers are embossed with the UOIEA insignia. These chalkboxes were originally exhibited in Subject of Learning Object of Study in 2010.